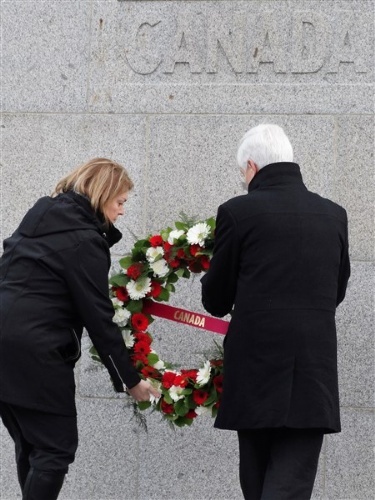 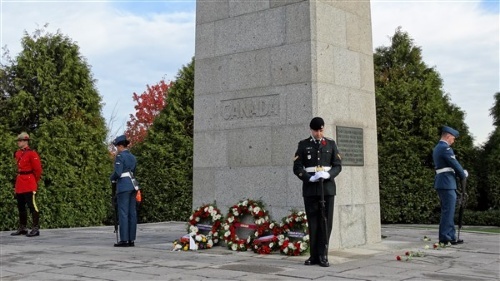 The St. Julien Canadian Memorial is one of Canada’s 13 First World War Memorials, which honours and remembers the achievements and sacrifices of Canadians and Newfoundlanders during the First World War. 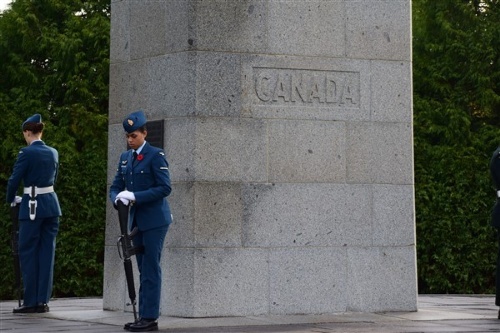 The Memorial marks the battlefield where, during the Second Battle of Ypres, 18,000 Canadians withstood the first German gas attacks, 22nd-24th of April 1915, of the First World War. 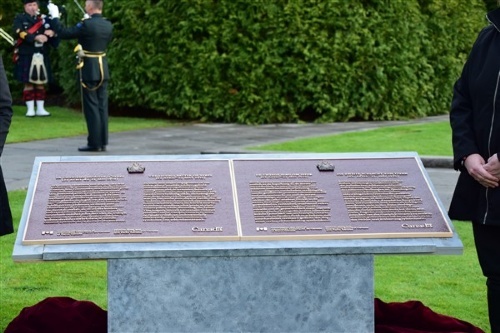 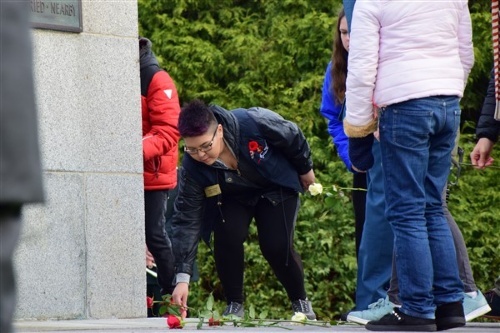 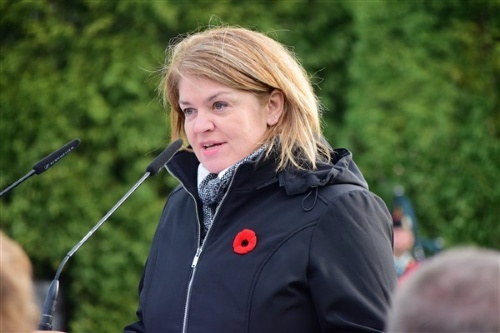 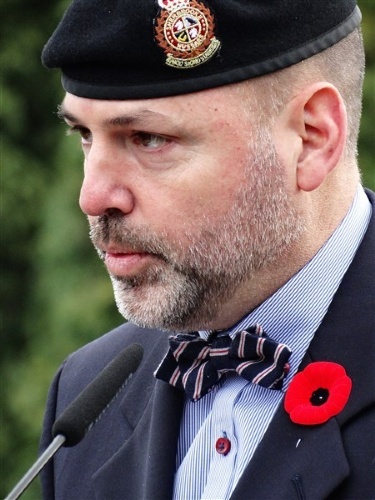 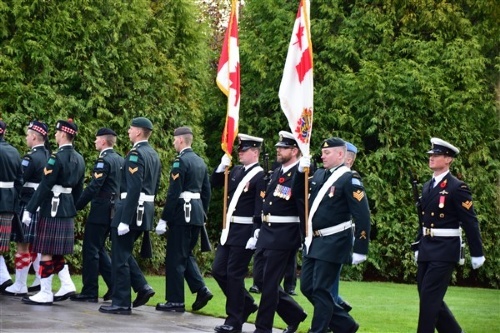 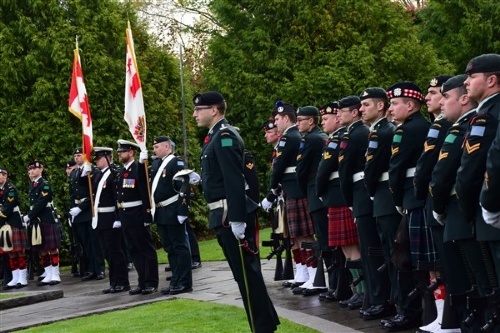 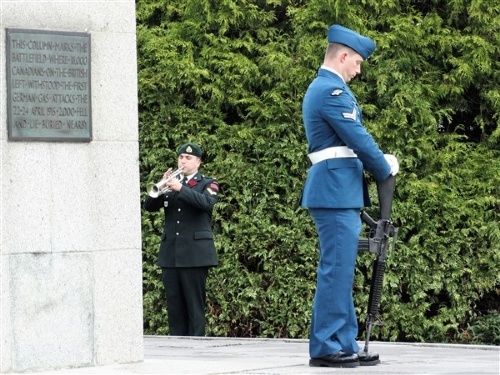 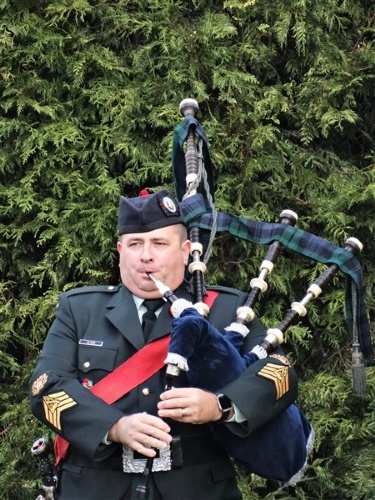 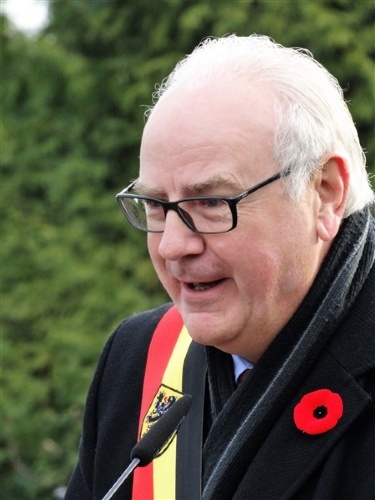 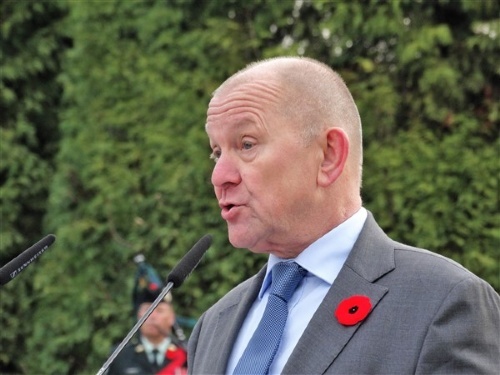 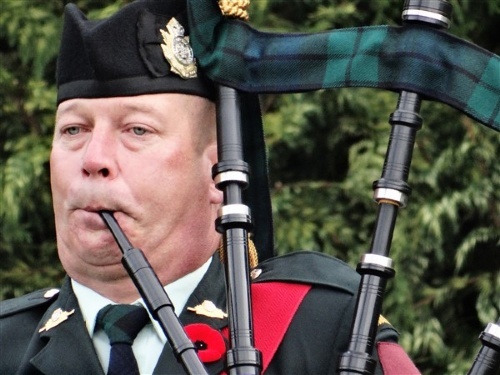 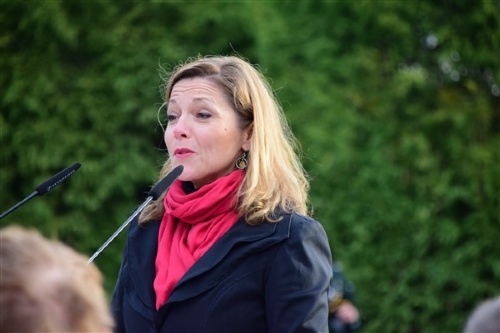 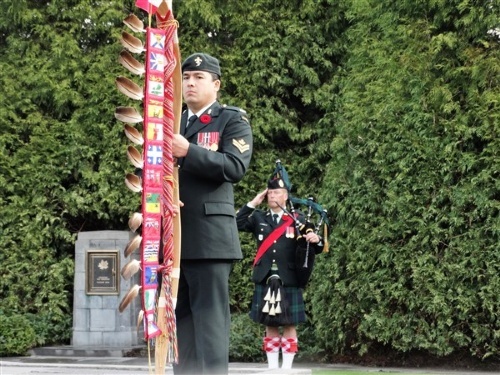 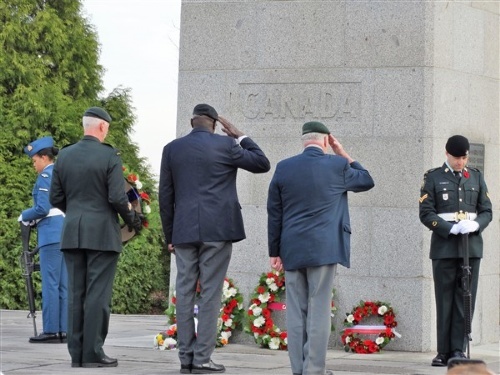 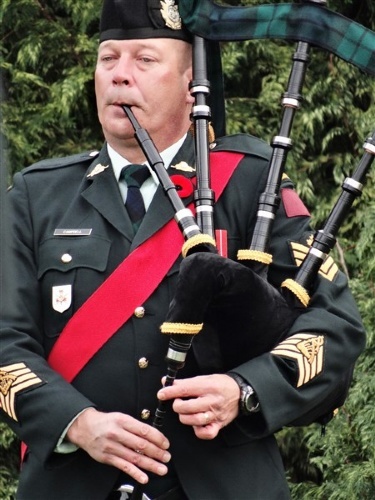 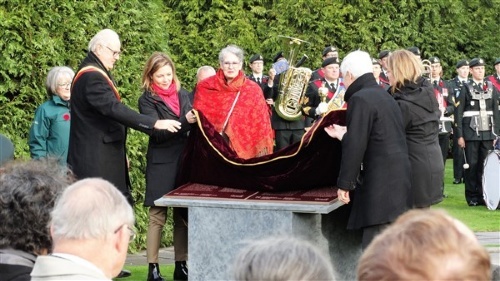 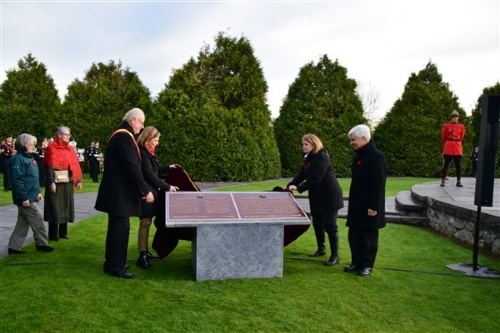 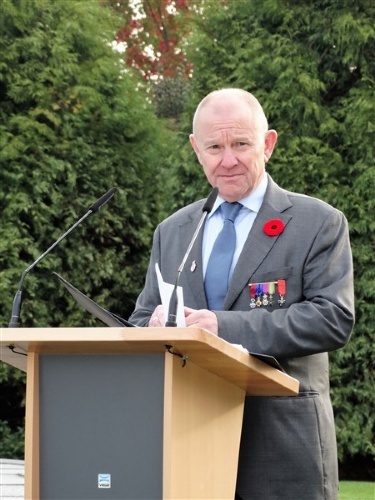 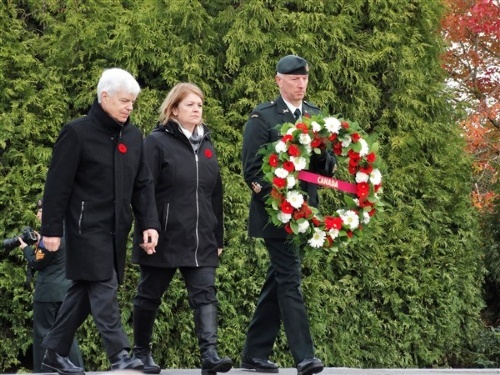 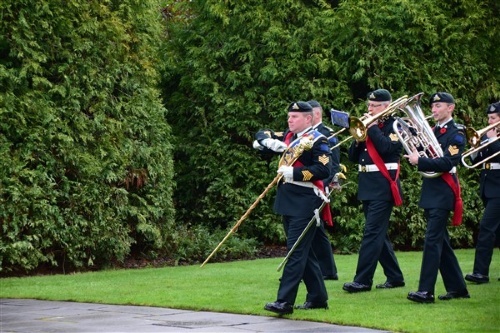 The Second Battle of Ypres has been designated by the Historic Sites and Monuments Board of Canada as an event of national historic significance. 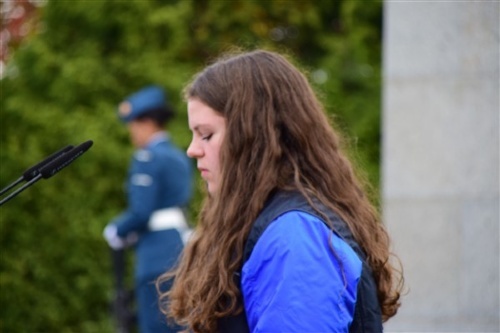 Kiera is a bilingual student from Winnipeg, Manitoba, whose great-grandmother's godfather fought and was gassed at Passchendaele. 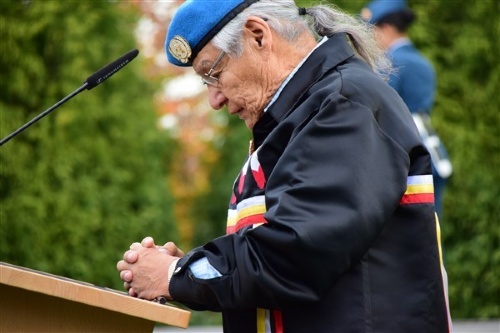 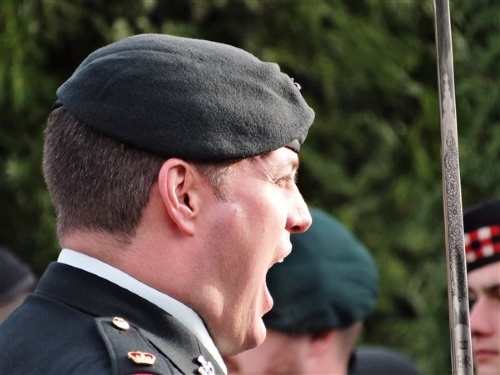 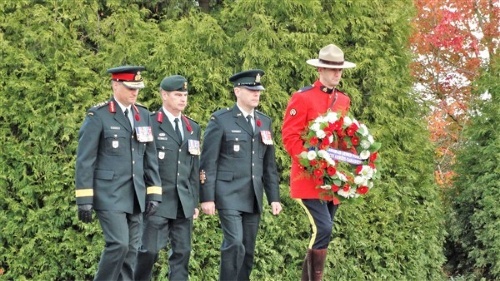 Her great-grandmother's godfather and great-great-grandfather were amoung the founding members of the Princess Patricia's Canadian Light Infantry. 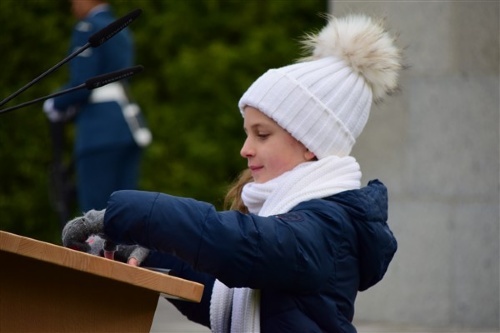 Her great-grandmother was named after the Princess Patricia's Canadian Light Infantry. 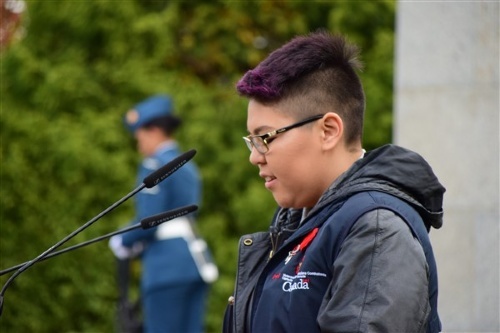 She has past experience attending events with the Encounters with Canada program and has completed four half marathons. 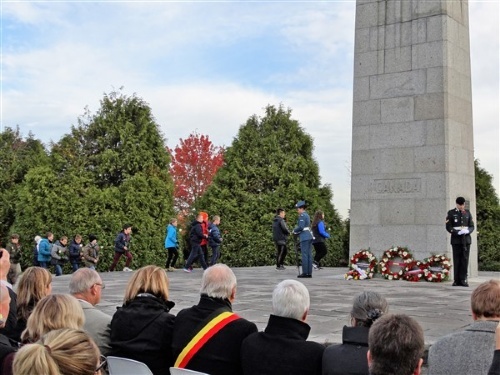 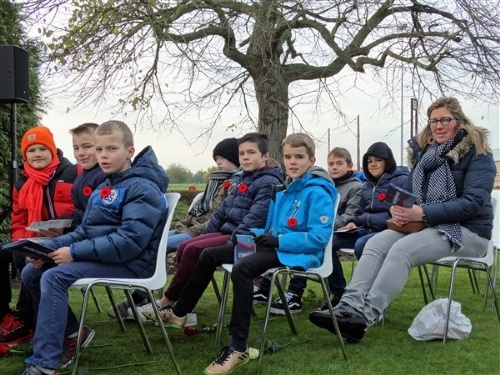 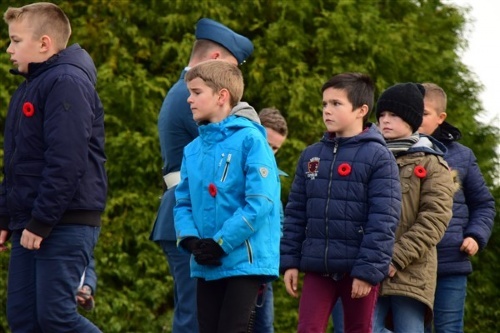 Kiera is not the only Canadian Youth, here present, with family who fought in the Battle of Passchendaele. 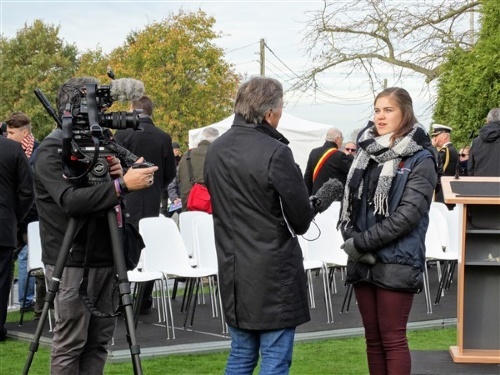 Madison Barrow's great-great-grandfather served and was wounded in the Battle of Passchendaele. 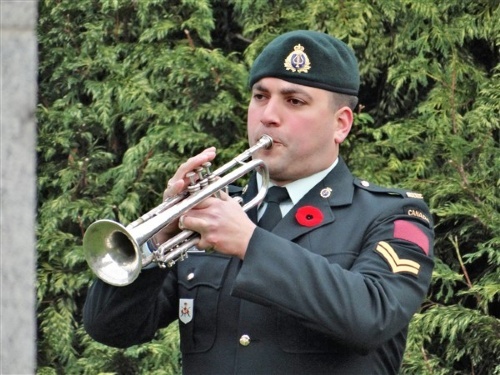 Left for dead in a trench, he was fortunate to have been noticed by a fellow soldier and taken to a hospital for treatment. 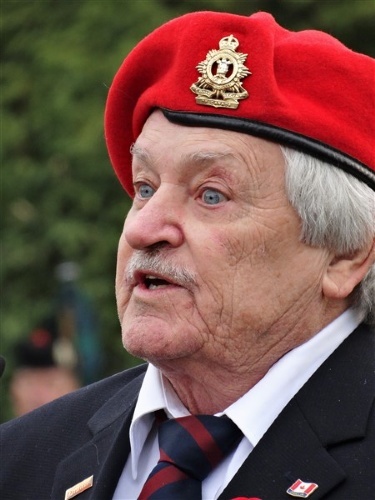 He spent years removing the shrapnel from his body and suffered from shell shock. 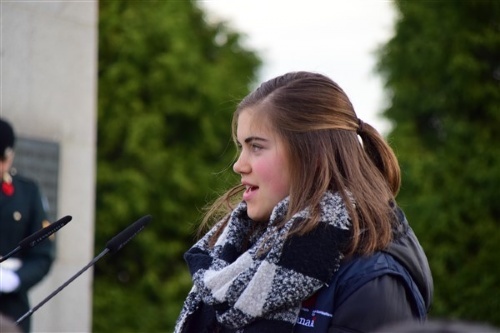 Madison is a student from Gambo, Newfoundland. 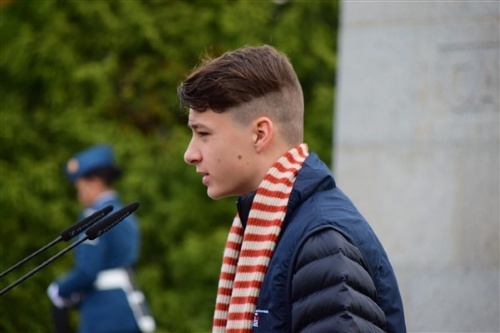 Ben Jamieson, a student from Fredericton, New Brunswick. 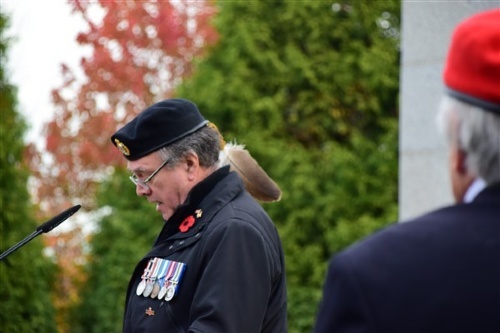 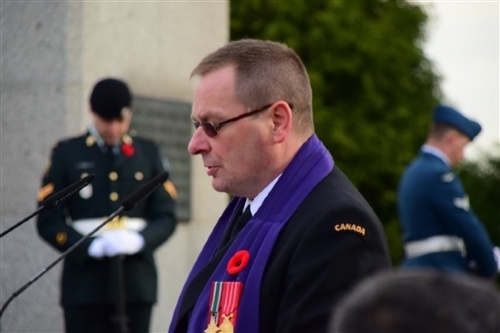 He is passionate about military history and had grandfathers, both from his mother's and father's side, who served during the First World War. 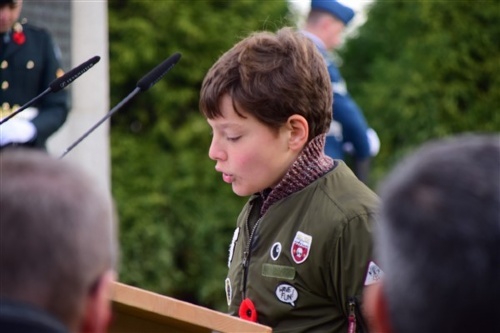 His great-grandfather Elbridge Hunter was injured in combat and left for dead, but three days later it was discovered he was still alive. 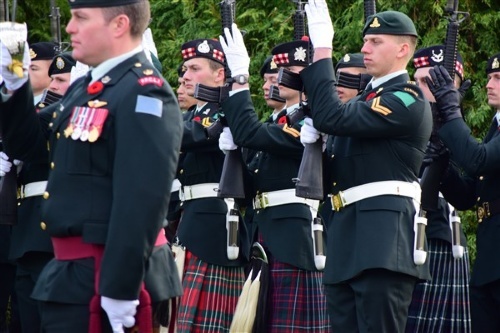 His great-grandfather Ross Jamieson fought the war and brought home a British bride. 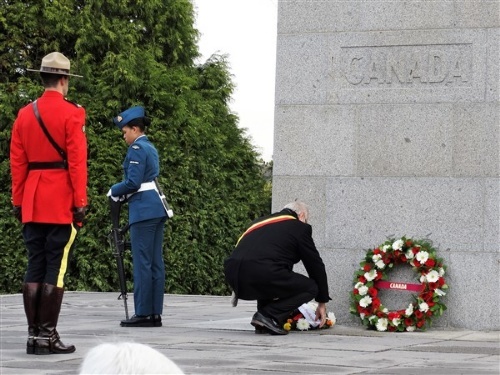 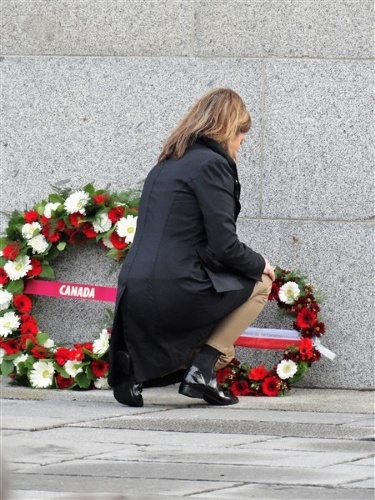 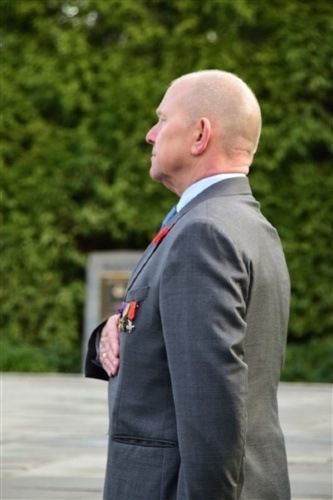 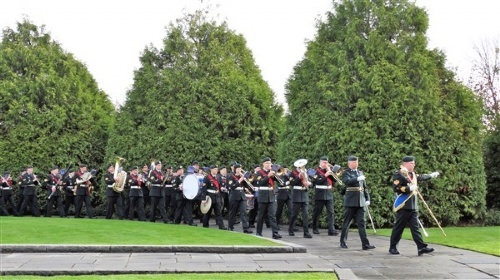 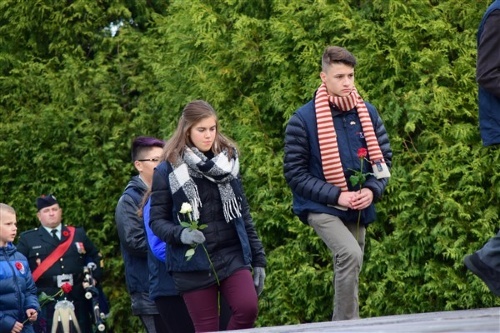 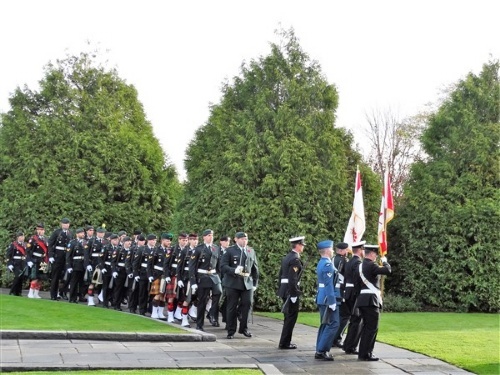 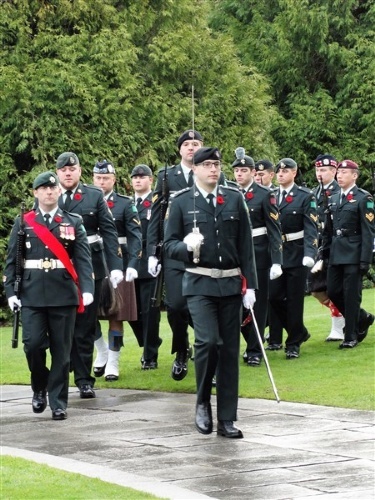 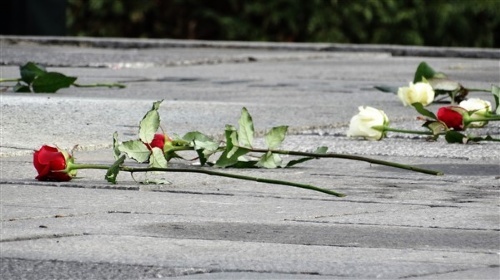 He attended also the Encounters with Canada Vimy theme week. 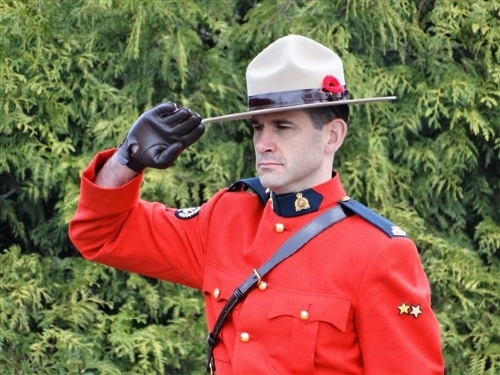 As an excellent athlete (he is proficient in Tae Kwon Do, plays rugby and competes in track and field), he believes it would be a great honour to participate in the Puppies run in België (November 12, 2017). 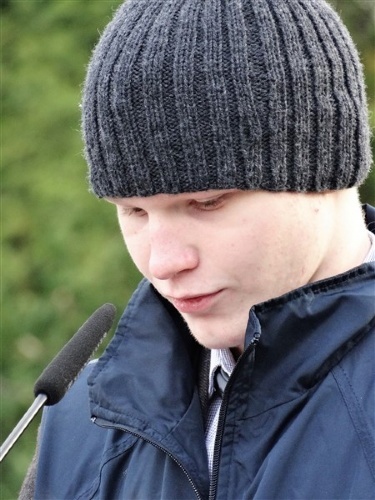 Gérémy Côté is a bilingual student from Rimouski, Quebec, where he is the young Minister for the Environment for Bas St. Laurent. 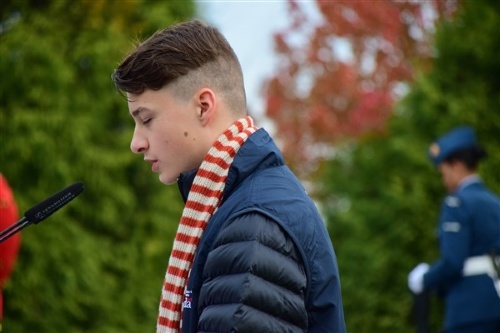 He is a very accomplished runner and one of the top ranked runners in Quebec. 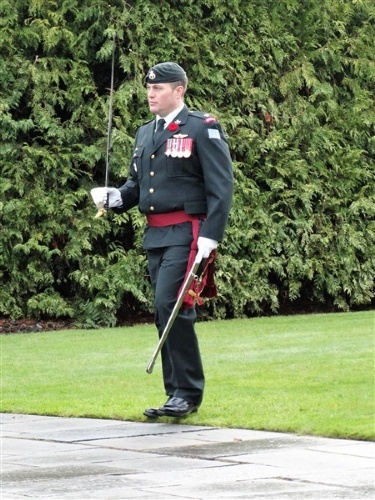 He would one day like to compete in the Olympics and represent Canada on the international stage. 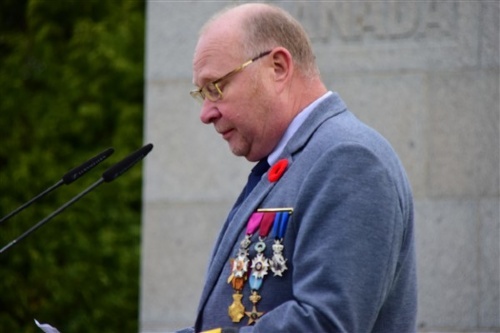 Gérémy's great-granduncle, Alfred Côté, served in France during the First World War.